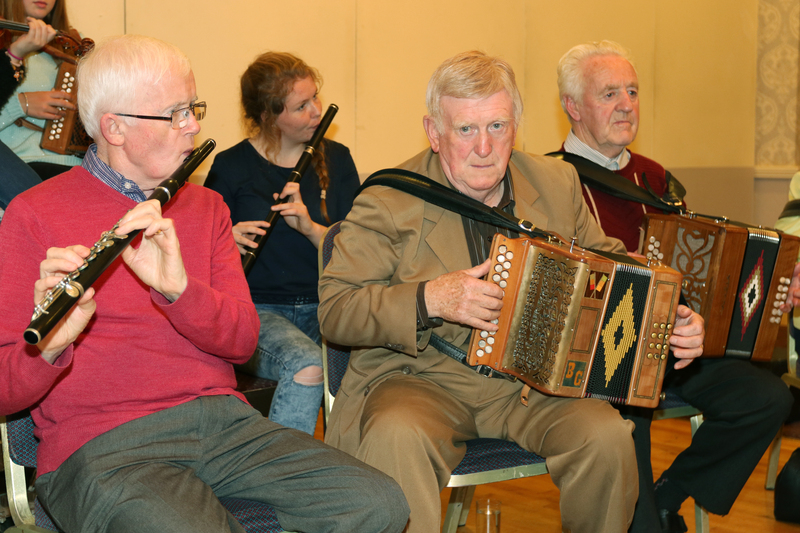 The inaugural Trad Fest took place last weekend in the town of Cahir, Co. Tipperary. A town with a proud heritage and a rich history that made a perfect host for the 3 day celebration of traditional music which drew in high volume of musicians and fans alike. The town hosted several events throughout the weekend, performances in packed out pubs, workshops for the upcoming and the curious with impressive window displays that lined the streets of Cahir. Friday kicked things off with music recitals at “The Piper” statue, a monument that honours a master of the Uileann pipes, Edward Keating Hyland, composer of the famous ‘Foxchase' music, another at the iconic Cahir Castle followed by the official launch of the Festival in Cahir House Hotel. Adding to the festivities was a series of workshops by the school choirs of Cahir Boys National School and our Lady of Mercy National school, window displays by Dental Care Castle Street and Capilices Church Street. The festival hit its peak with a performance for the congregation at 11.30 mass which included over 60 musicians showing off their talent during a service celebrated by Fr. Dempsey and Bishop Alponsis Cullinane who were assisted by Fr. Pat Butler and PP Clogheen. The weekend finished up with the presentation of the Seanie Cunningham cup in the Cahir House Hotel and the festival closed with a jubilant farewell session. The streets of Cahir were filled with a sense of pride and a fantastic atmosphere as the festival took grip on the town. Live music was a regular treat across the weekend, taking place in pubs across the town. Trad fest was an undeniable treat and definitely worth marking on your calendar for next year and hopefully many years to come.